The short notice of Pastor Christos’ leaving the Silver Springs Shores SDA church in Ocala, Florida, came to its members as a hard and shocking blow. His lengthy commute back and forth to Ocala church did not interfere with his pastoral duties nor, rendering emergency services when needed. He motivated members to become active in areas where their talents were hidden. The lights shun brightly as the bushel was lifted (Matthew 5:15), some were rendering solos, preaching sermons and officiating in other areas. Pastor Christo was basically in touch with people in around neighboring communities. He went over and beyond his pastoral duties in assisting needs in every possible way. His visitation and administrations to the sick and shut­-ins were of great reward. Pastor Christo organized programs which attracted large attendance of adults and youth. On some fun and game nights were exceptional large gathering which caused an investigation of The Law Enforcement Officers. To their amazement they found an event that was being used as a tool of catering to the youth for spiritual and social engagement. The Divine Service: Pastor Christos’ last final sermon on March 31, 2018, at the Silver Springs Shores SDA Church in Ocala, Florida, could be displayed as the Last Supper. There were ordination of elders, baptisms, dedication of babies and the most sacred and solemn Communion Celebration. 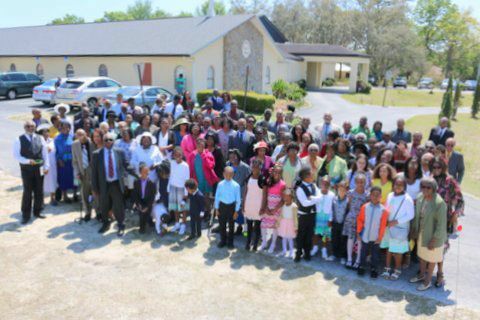 The church was filled to capacity as our two (sister churches) were in attendance. A corner line was formed which wrapped around the benches where members marched orderly up to the table where they received their emblems for partaking, it was most breath taking. His sermons brought comfort and relief in all categories of life. We are encouraged to be obedient to the commands of our Savior in order to receive the glorious gift as promised, John 14: 3. The times spent at this church was most spiritual, sacred and inspiring which will long be remembered. 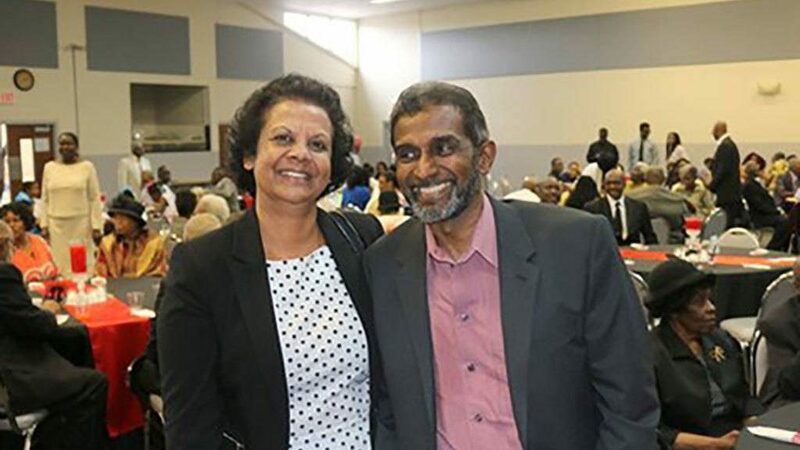 A surprise farewell luncheon was planned for Pastor Christo and his wife Janice. Special moment were extended for voluntary expressions of heartfelt feeling. Renditions from the smallest child to the oldest adult were given which was a time of sadness,(drops of tears were shed) as they were leaving this area to a place that is so far away. Occasions of this nature will not be forgotten. We pray that the blessings of our Father in Heaven will be with these humble, loyal, caring and compassionate friends as they spread the gospel in another needed area.